It’s time for a move. You want a new place to call home. Whether you already live in Alabama or not, you have many opportunities in this region to take into consideration. One of the most desirable and up and coming areas is that of Athens. The community is not necessarily large with about 22,000 people living here. However, it is a family-centric area filled with ample amenities and some outstanding opportunities. As you take a look at the large amount of real estate present in Athens, consider what factors may attract you to this community. Athens, Alabama does offer a wide range of opportunities for those who live here. The city is home to a very strong economy and that has led to low unemployment. Keep in mind that the area’s job market is thriving especially in the areas of manufacturing, finance, and technology. You will find a large number of opportunities in these and other areas. Although the city isn’t the most modern in the region, new home developments are coming into the area. 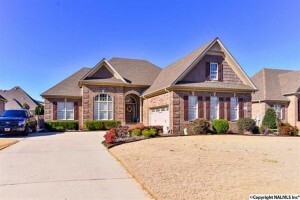 This has attracted a larger number of people moving into Athens than in recent years. Nevertheless, if you are considering all residential real estate here, you will likely find most of the homes are older. The good news is home prices remain affordable even as the city is growing. You can find a wide range of home options here, though most properties are single family homes. Townhomes and condos are also growing in popularity among home buyers. As you consider Athens, realize that custom home building is also an affordable option. With so much opportunity, it is no wonder so many people are looking to move into the Athens, Alabama area. Work closely with a local real estate agent to ensure you have access to the very best homes here. View Athens homes for sale here.